With the start of the New Year, we are starting to travel to showcase our wares at antique shows across the country. This weekend brings you two great opportunities to view and purchase Olde Good Things products in Atlanta, Georgia as well as in the Washington DC Metropolitan area. Come see us at the Big Flea! 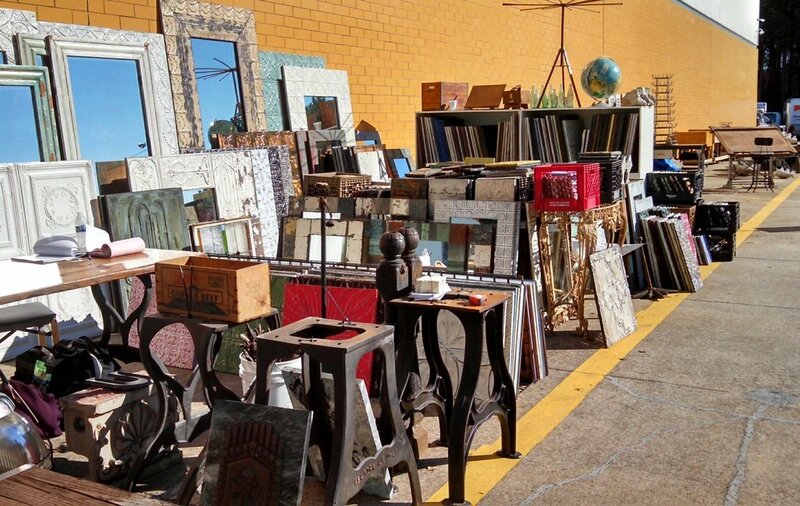 We are already set up at the Scotts Antique Market in Atlanta at the Atlanta Expo Center and starting January 10, we will be set up at the DC Big Flea at Dulles Expo Center, Chantilly, VA.
Booths #24, 25 and 26 – right outside the front door. Show Times: Thursday: 12:45pm-6pm. Friday/Saturday: 9am-6pm and Sunday: 10am-4pm. Show Date: January 10-11, 2015 Over 600 booths at this show!